We designed our Tilt and Roll with room to get the job done, wherever it may be. 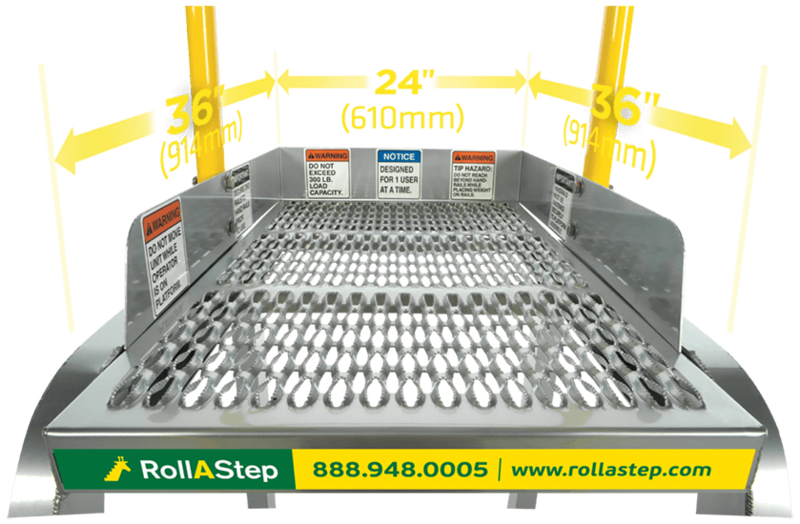 The six square foot platform is large enough for an operator, tools and parts, with room to spare. The lightweight frame and unique side rolling wheels make this rolling platform highly mobile and easy to position in tight spaces. 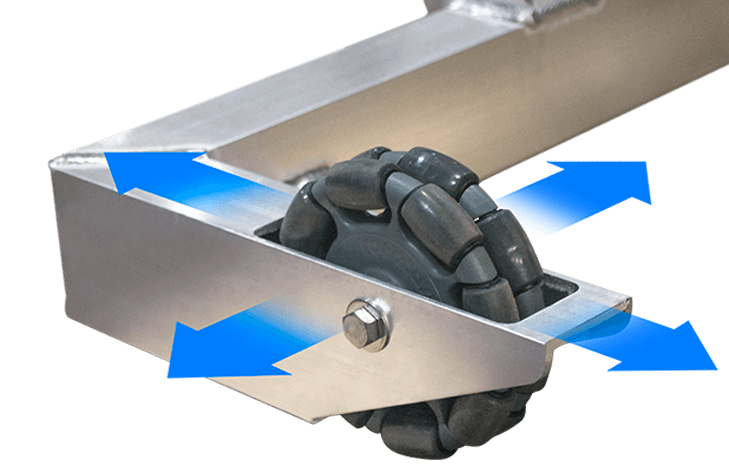 The TR Series’ additional platform area brings a new level of safety to warehousing and loading and unloading tasks. 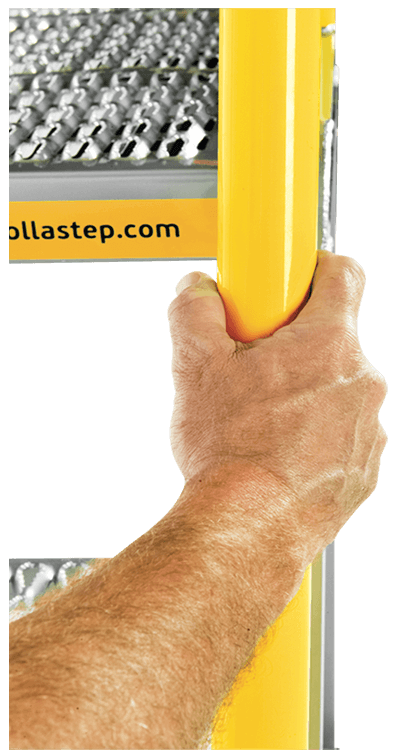 The full toe board prevents slips and tool drops and the full length, full size handrails provide safe operation from height. The sturdy aluminum construction supports a 300lb load limit without sacrificing mobility.